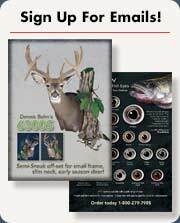 Turkey Bodies by Cary Cochran are available in multiple sizes and positions. 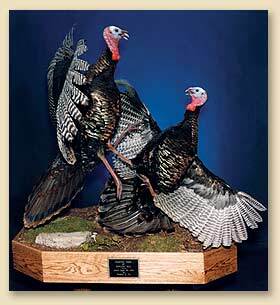 The Cochran artificial Turkey heads with preset eyes are designed for use with these bodies. (Measurements are in inches). 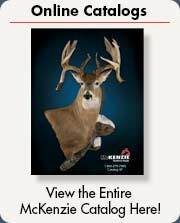 McKenzie offers a variety of display bases for Turkey mounts.